asp:Content ID="Content3" ContentPlaceHolderID="ContentPlaceHolder3" Runat="Server"> Instrumentation Engineering deals with the design, configuration and automation of systems. 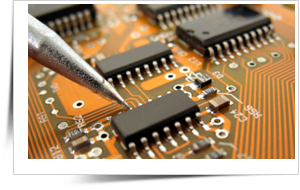 Electronics & Instrumentation Engineering (E & I), Instrumentation & Controls Engineering (ICE), are the two Engineering courses which are derivative of the Instrumentation Engineering. These two courses covers almost similar subjects and the professionals graduated in these courses can look for a similar work profile. What is the future for an Instrumentation graduate? Instrumentation Engineers are responsible for the design, construction and maintenance of the entire instrumentation systems of any industrial undertaking. The type of instruments needed for ensuring better quality and efficiency of the end product are decided by an instrumentation engineer. Instrumentation Engineers design the actuators, positioning devices and robots for industrial automation. Instrumentation and control engineers monitor measure and control physical quantities like temperature, pressure and flow in an automated industrial environment. What is the future for an E & I / IC graduate? Instrumentation and control engineers are employed in a range of modern industrial settings such as manufacturing, environmental, health, food production, mining and energy production. Instrumentation Engineer / Process Engineer in heavy industries such as thermal power stations, steel plants, refineries, cement and fertilizer plants etc. Industrial automation / Robotic Engineer in any manufacturing or food processing industry which run in an automated setup. Software Engineer [specializes on creating customized software for the specific instruments]. Who should opt for Instrumentation?